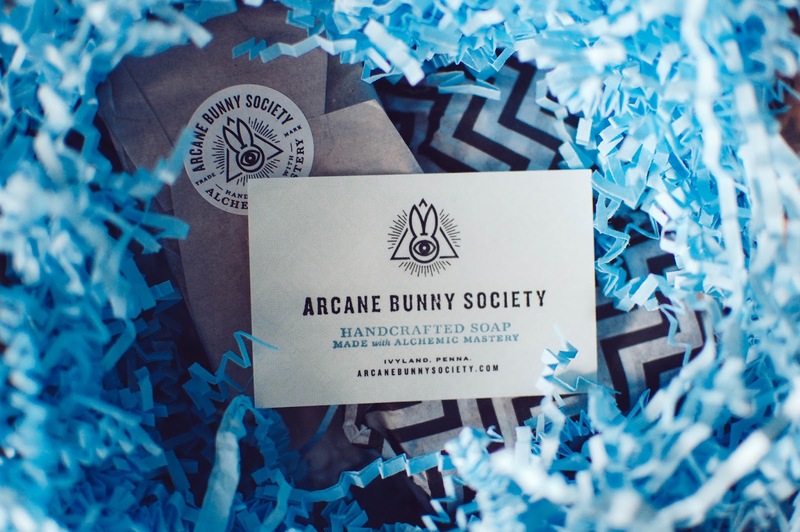 Arcane Bunny Society is yet another bath and body indie that has come across my smart phone screen and caused an instant attraction. I love the branding, scents offered and high quality appearance. And that appearance translated very well into reality. This order was a pre-order that I placed on April 21st and 22nd (I ordered a few times and it was all combined into one box and shipping overages were refunded). 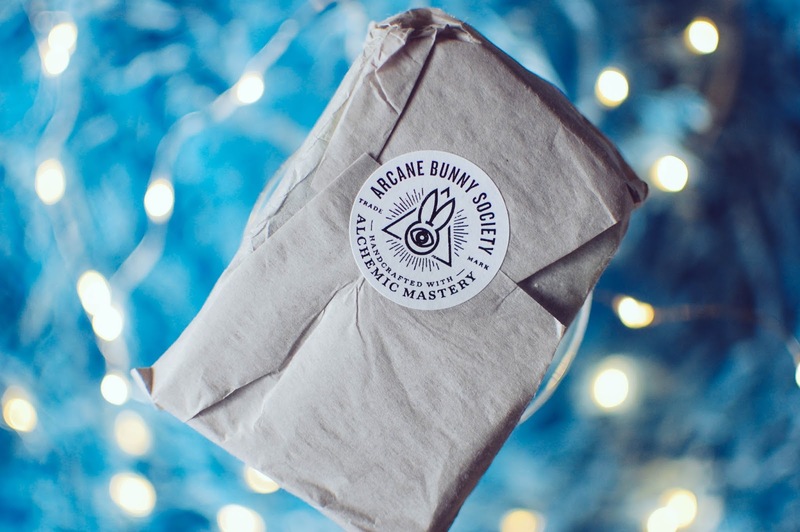 Everything arrived in pristine condition, wrapped well and packed tightly in blue crinkle paper. 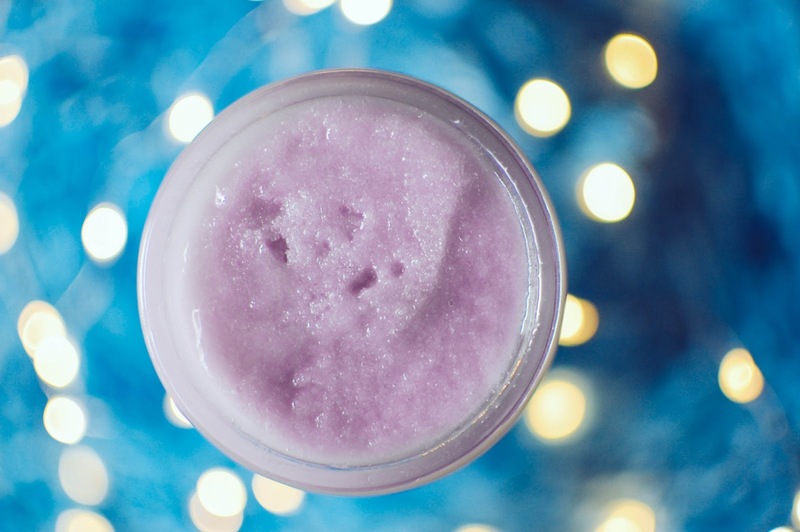 The scrubs and body butters are in frosted glass containers and were given the bubble wrap treatment. 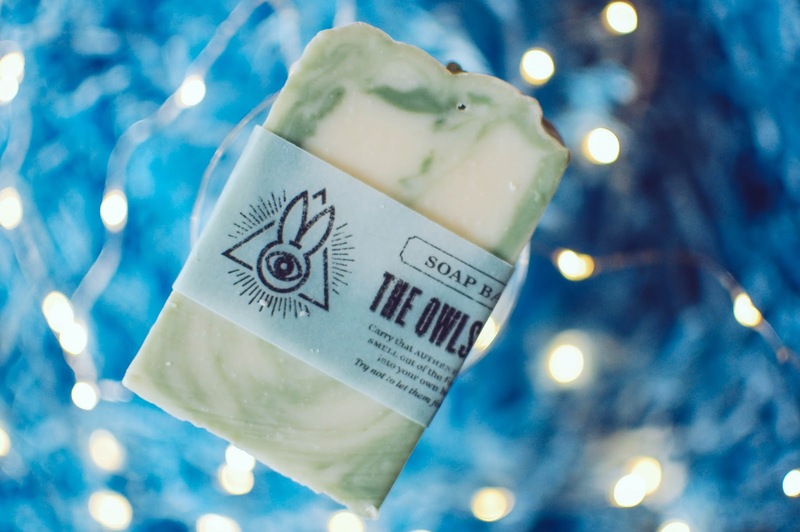 First up is a soap in The Owls Are Not What They Seem. One thing I neglected to mention... I am loving a lot of these Twin Peaks references. I do not have Showtime so I am missing the Twin Peak revival, but I hold out hope that Netflix will get it at some point. The Owls Are Not What They Seem- Notes: It smells more like pine than Douglas fir, but it's still DAMN fine. 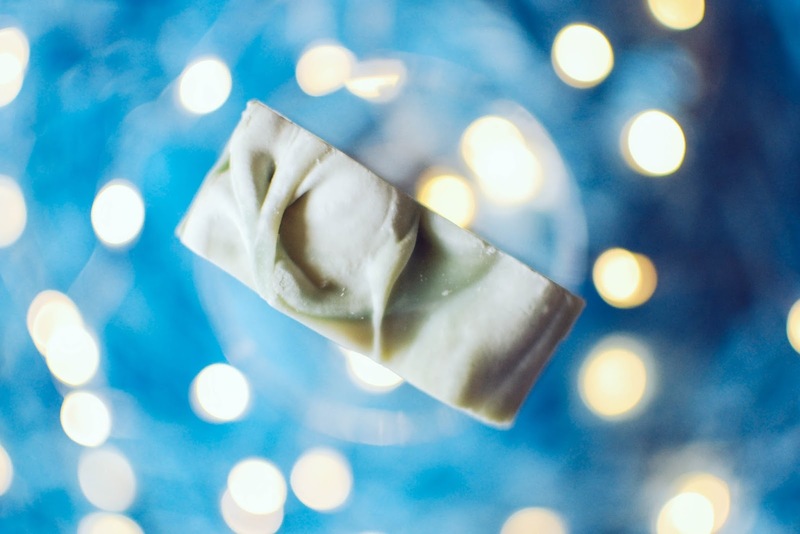 This soap feels plush on the skin, bubbly and smooth like a polished river stone. 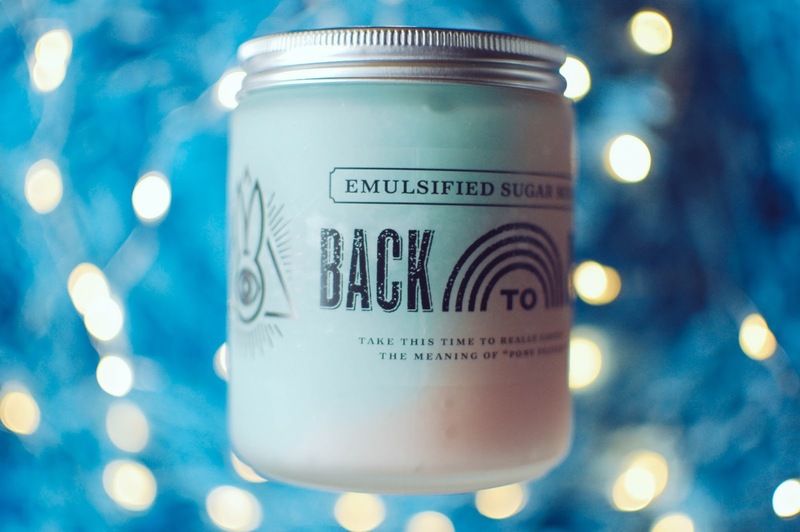 The scent, to my nose, is exactly like a Sugared Spruce wax tart. 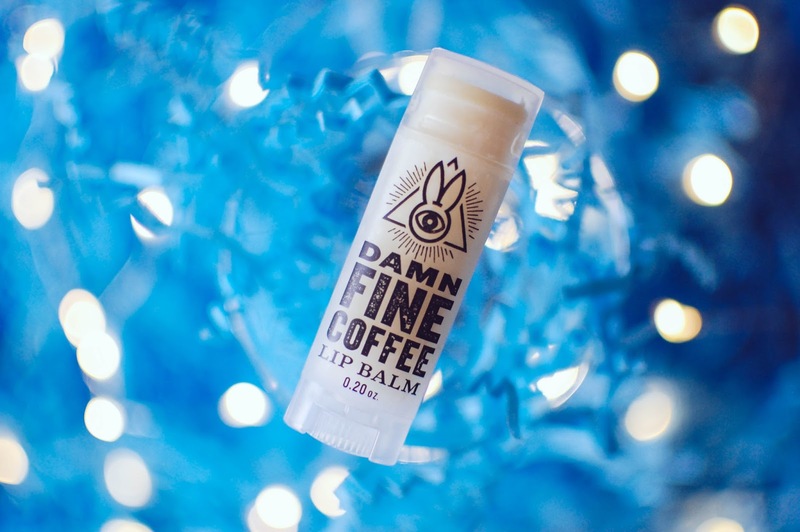 All evergreen and a touch of mellow sweetness. I am in love with it. Reminds me of cabins in the mountains and hunting for Christmas trees. 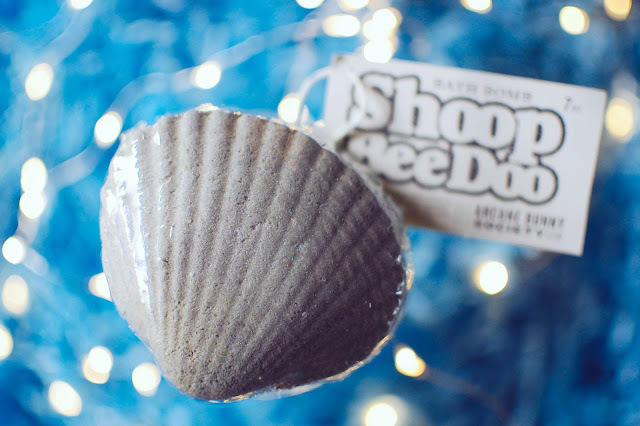 Shoop Be Doo seashell bath bomb for $7.99 weighs 7 ounces and is scented with citrus and sweet coconut. It is two toned, top half grey with micro holo-glitter and the base is a vibrant green. I am not quite ready to unwrap it and use it, so no performance review to happen just yet. I hope you understand. I desire to save this as an extra special treat when I have met a few goals. Next up is my hefty mamajama 11.5 ounce scrub in Here in Charm World. The frosted glass is quite substantial. I placed this in my shower to use and test and it fell from about 5 1/2 feet high onto the tile floor (scaring the gnargles out of me) and did not even take a chip. 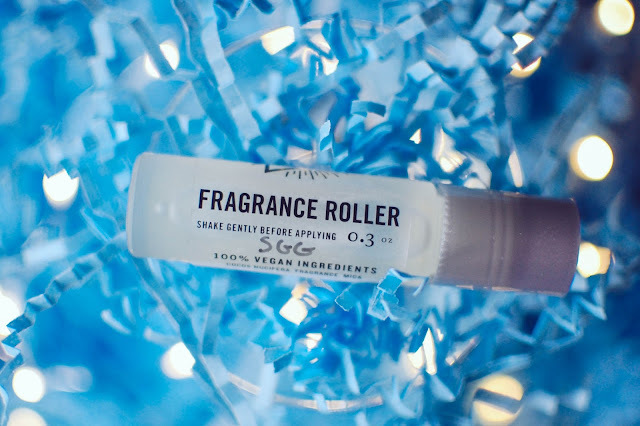 The ingredient list states that it it 100% vegan and brimming with nourishing oils. I am taking you on a tour of the label. It is so well done. Here in Charm World- Notes: Candied violets. I picked up a matching body butter. This comes in a much smaller 3.75 ounce jar for $15.99, but before you balk... this stuff will last eons. 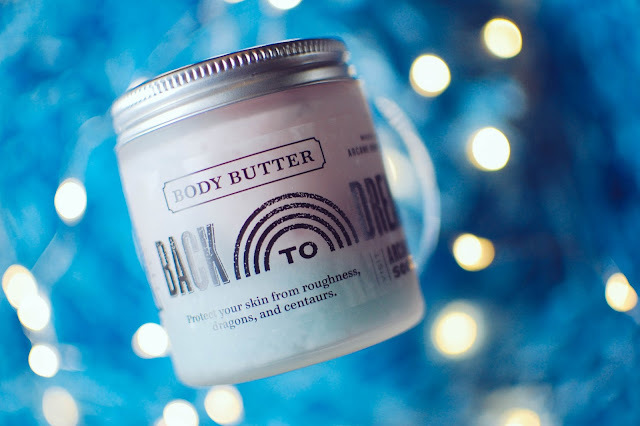 This body butter feels like buttercream frosting rubbed between your fingers on a 100 degree day in Vegas. 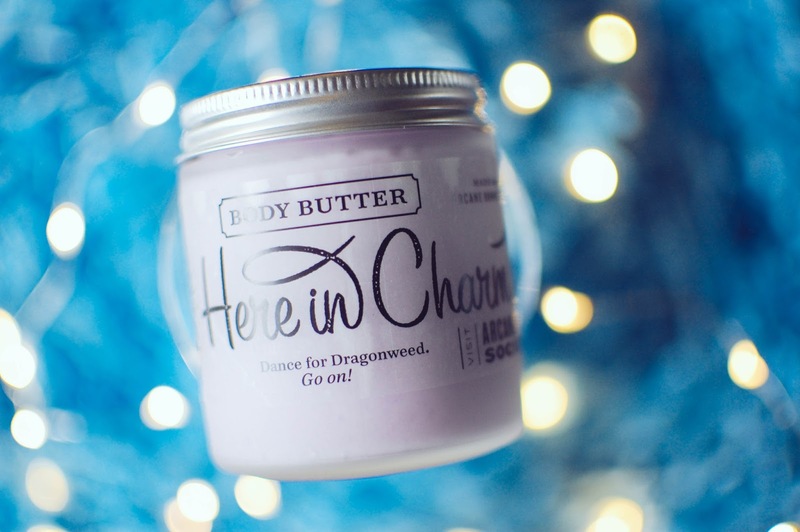 It dissolves into this shiny emollient butter that glides onto the skin like... buttah. Or cocoa butter. A very little bit goes a very long way. 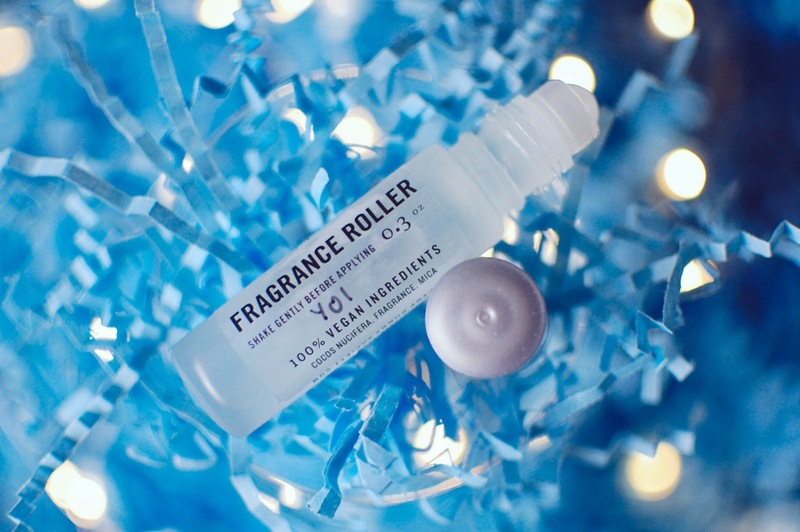 It does have a semi-greasy finish initially but then it soaked into my skin after a few minutes. Guys. Seriously. If you ever get this, please just use the teeniest bit and it will cover plenty of flesh. I did pick up one more scent in both the scrub and body butter. And boy is it heavenly. 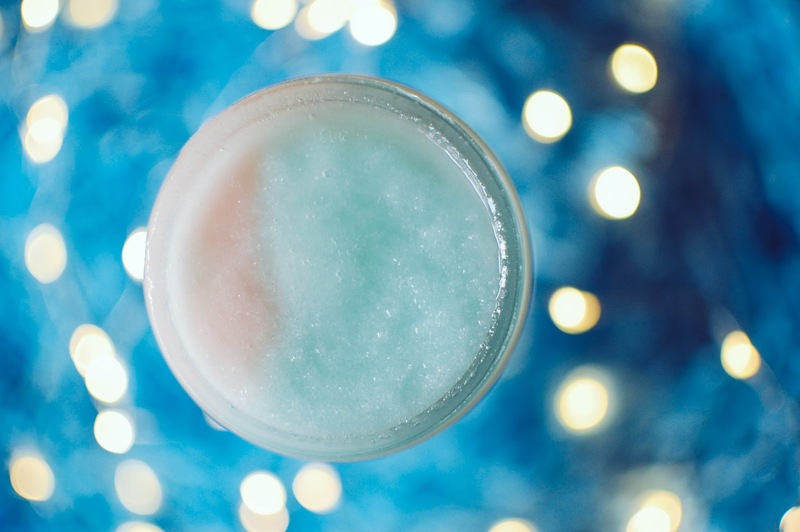 This is the perfect cotton candy scent that reminds me of my very favorite Cotton Candy Bubble Yum gum. Now, don't get me wrong. There is not bubble gum here. But if you have ever chewed that gum you know what I am talking about. 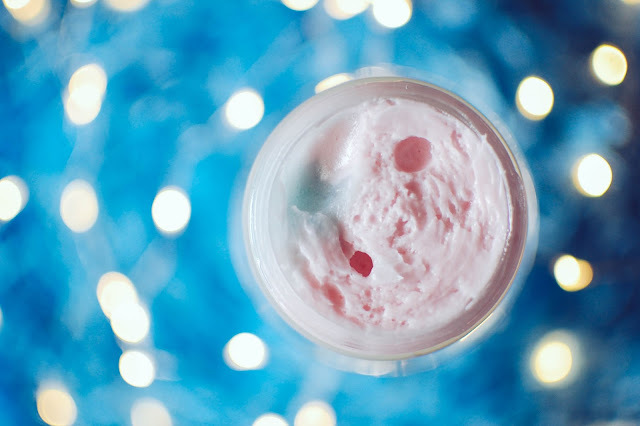 Intense cotton candy fragrance with a hint of candied strawberries lurking about. 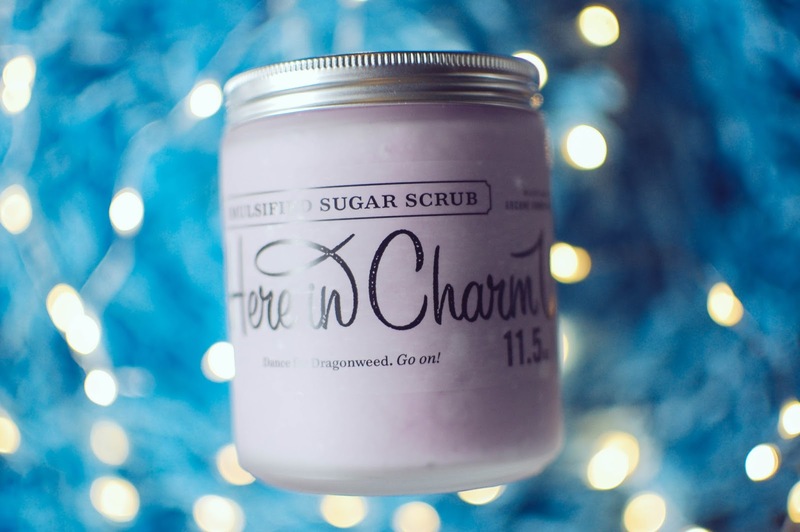 This scrub performed just as nicely as Here in Charm World. 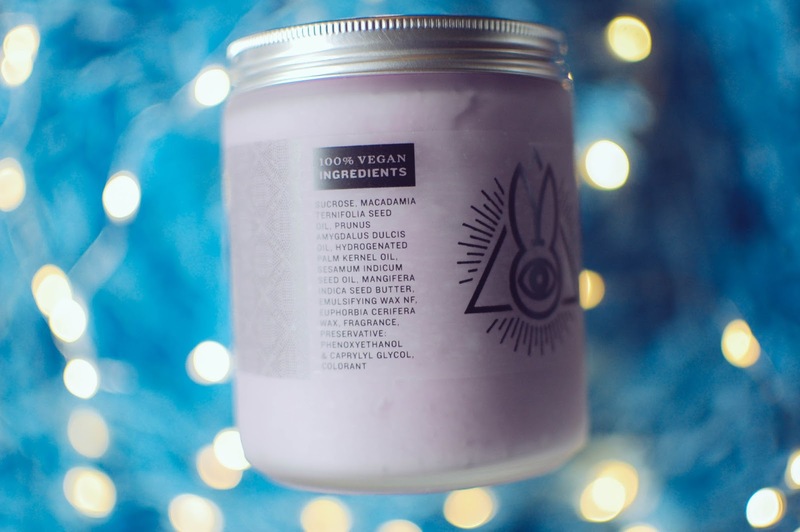 The body butter was just as blissful in cotton candy as it was in candied violets. I kind of want to layer these. 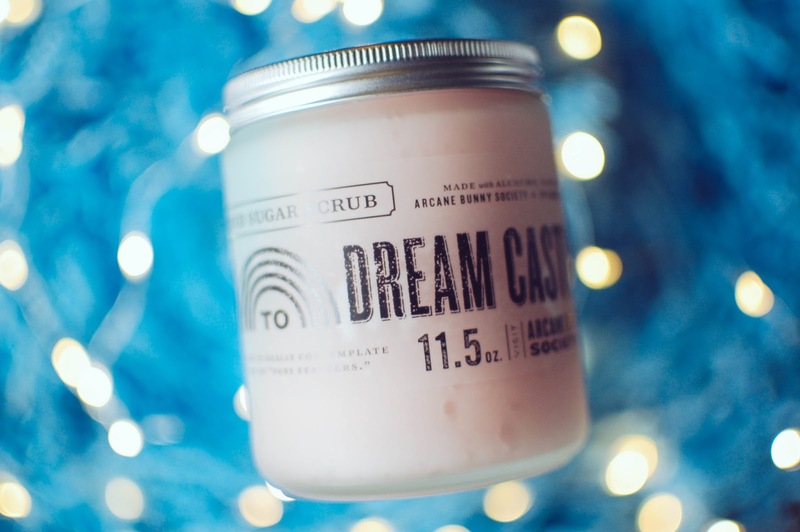 Or layer Back to Dream Castle with the sugared spruce of TOANWTS (the owl soap). 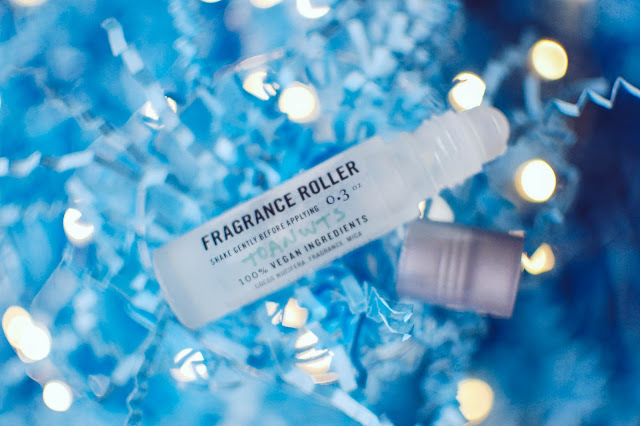 Fragrance Rollers ran $8.99 and I picked up a handful. 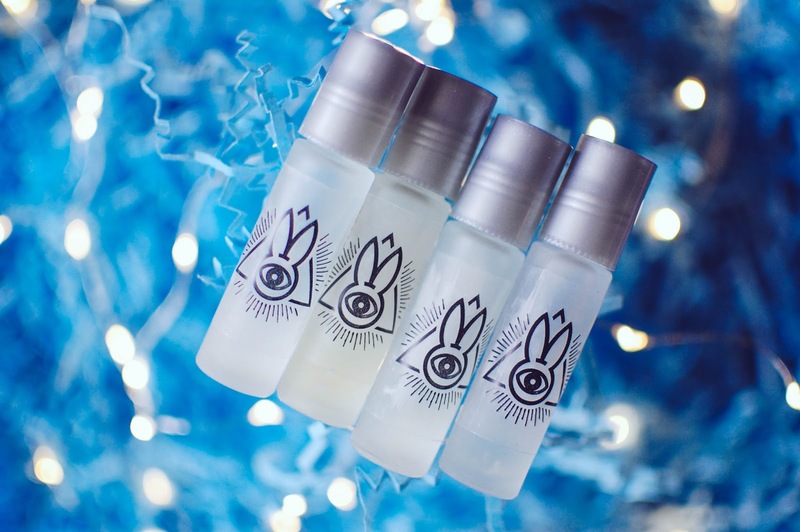 These are a little over 8 ml and are a perfume oil format. Again, The Owls Are Not What They Seem. 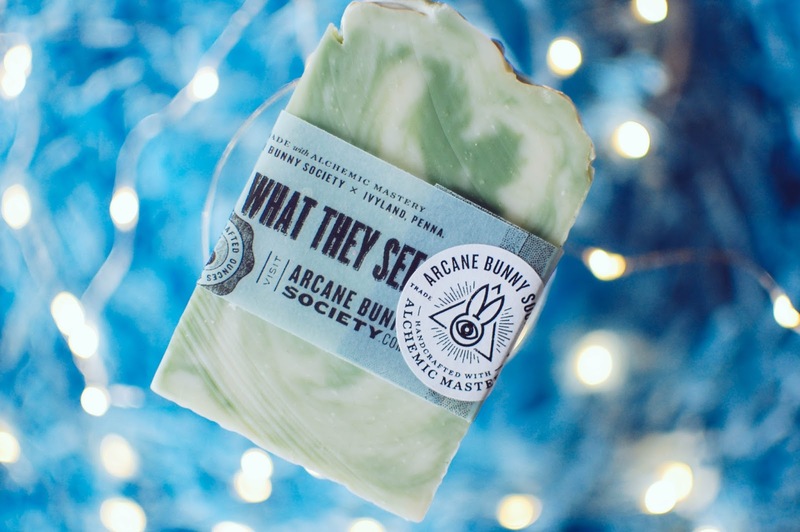 Same great scent of sugared spruce as the soap. This will be nice for summer hiking and winter festivities or anything in between. I seriously cannot stop thinking of laying this with the cotton candy Dream Castle. But it is very nice on its own merits. I did scoop up Back to Dream Castle. It is a touch more candy in the oil than the butter or scrub but still quite lovely. The sillage is about medium-light so it won't be blowing your co-workers away but you will still smell pretty darn yummy. As much as I enjoy this scent I will probably end up letting Savanna have it (who keeps cooing loudly how much she loves it) and just swipe some from her now and again when I want a hit of the cotton candy goodness. You Opened It- Notes: Sandalwood, patchouli, tonka bean, mandarin, agave nectar, African lotus, cardamom, nutmeg and black peppercorn. Despite the notes, this one mades me real nervous when I first rolled it on. It smells eerily similar to tea and cakes with honey right out of the gate. 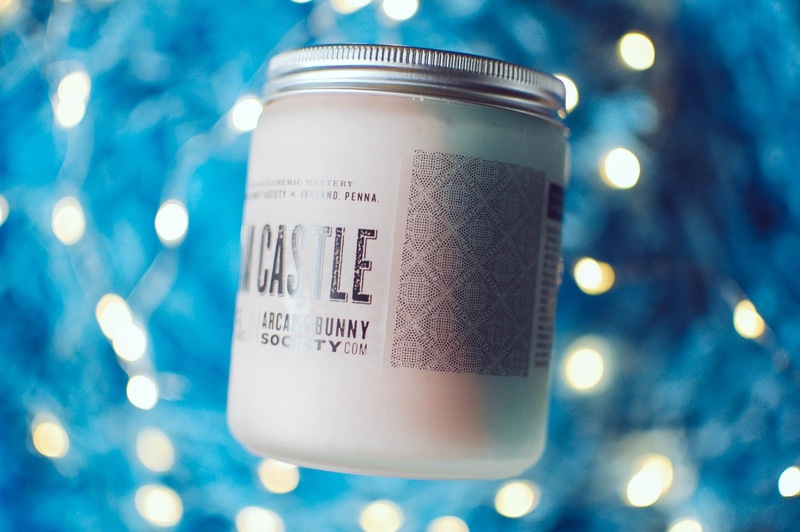 The cherry almond tea cakes lighten after a bit and honeyed cardamom and sandalwood greet the senses. How this I can get down with! 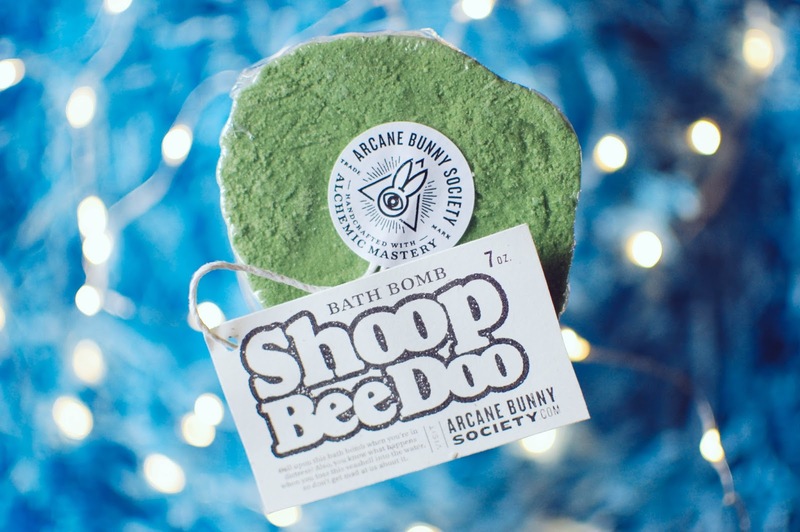 It is a sweet and softly spiced scent with woods and honey. I did open it and I plan on using it. Scary German Guy- Notes: Pumpkin pie, cinnamon, cardamom and nutmeg. 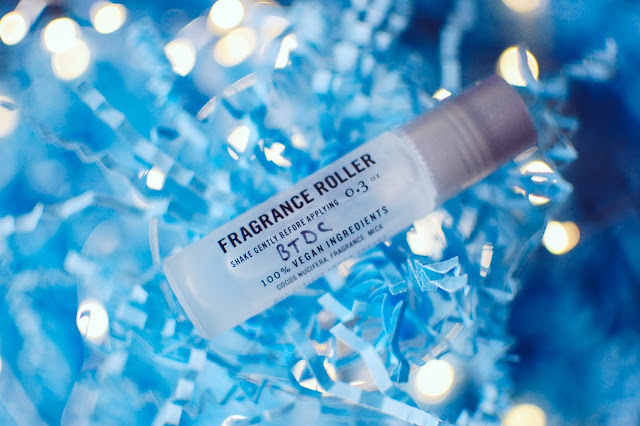 It bursts out of the roller and onto the skin in a steamy haze of fresh baked pumpkin bread. After a few minutes, the heavy bakery bread portion dissolves into pumpkin pie raptures, tasty with spice. The cinnamon does warm a touch on the skin but it does not bother me one whit. I love this Scary German Guy and plan on wooing him properly this autumn. I am going to keep my eyes out for the scrub and body butter. So that wraps up my first Arcane Bunny Society order. I think I tried to touch most of the bases. 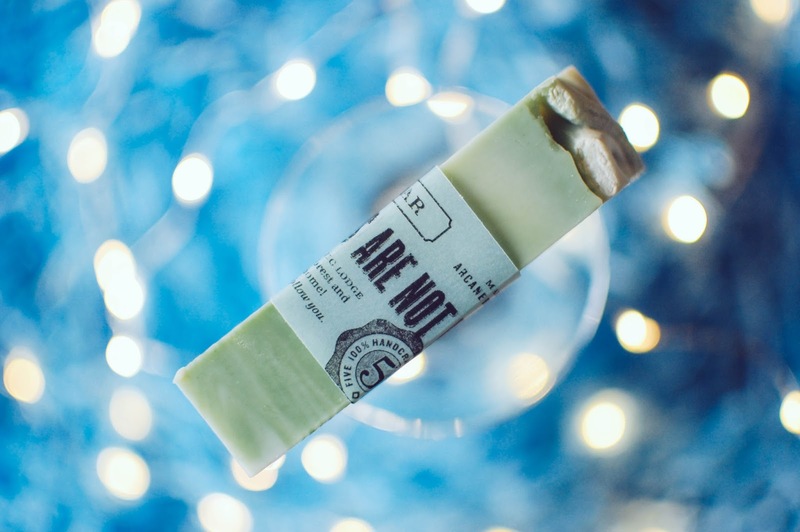 I did miss out on a log lotion bar but I may go back. Overall, I am one happy camper. 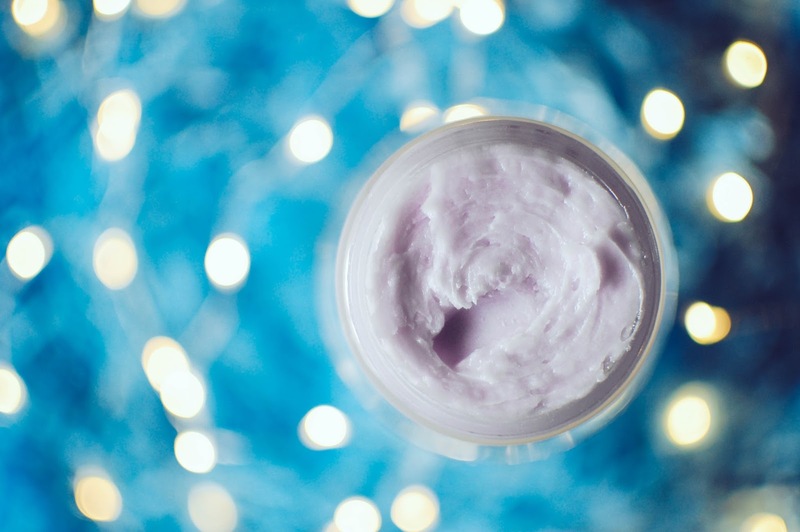 I love the scrubs, body butters and more. And I wanted to get this post out as soon as possible since she will be opening with the rest of the items not sold briefly at 11pm EST tonight. Keep in mind this is a small restock, but I figured it would be worth it. If I am awake by then I might pop in. But I am old. And chances are slim. Have you tried Arcane Bunny Society? Any faves? Do any of these ring your chimes? I can never get enough exfoliation lately.